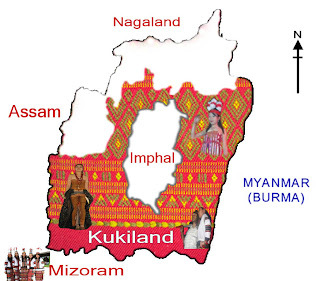 Imphal, Nov 16 : Manipur is now bracing itself for another long spell of blockade, thanks to a group of Kuki militants giving a clarion call for the creation of a Kukiland to be carved out of Manipur. The other bad news is that the Nagas might be coerced into calling a counter bandh as almost half of the territory of the proposed Kukiland falls in the Naga strongholds of Ukhrul, Senapati, Tamenglong and Chandel districts. Manipur had recently suffered a three-month-long blockade first called by the Kukis demanding the conversion of the Sadar Hills area in Senapati district into a full-fledged district, in response to which the United Naga Council had called a counter blockade. Memories of petrol being sold at Rs 200 per litre and an LPG cylinder priced at Rs 2,500 are still fresh in people's minds. It was the Kuki National Organisation (KNO), an apex body for a variety of Kuki and Zomi armed groups and currently under a suspension of operations (SoO) with the Centre and the state government, that had first voiced their demand for a Kuki state, along with their unwillingness to further extend the SoO. Thereafter the frontal organisation of the KNO ~ the newly formed Kuki State Demand Committee (KSDC) ~ made the declaration for the indefinite blockade which was initially scheduled to begin from today. Yesterday, while releasing the map of their promised homeland, it made the concession of postponing the blockade by two days keeping in mind the Ningol Chakouba festival of the majority Meiteis today. The Kuki thinktank apparently thought it better not to start off by antagonising the Meiteis. The general secretary of the KSDC, Mr Benjamain Mate told the Press in Churachandpur yesterday the “stir would continue till the Centre gives an official assurance that the KSDC and Kuki militants currently engaged in SoO will discuss the demand for a separate statehood for the Kukis”. He also threatened to launch a “Quit Kukiland” movement should the Centre not take their demands seriously. The blockade covers all national highways and state highways which fall in the Kuki-inhabited areas and is of an indefinite nature. 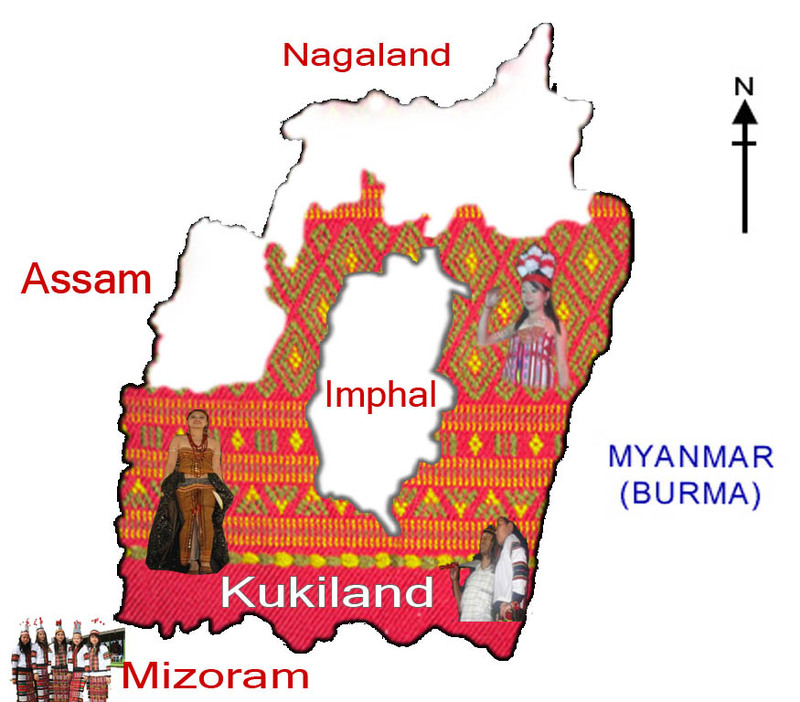 The KNO’s origin lies in neighbouring Myanmar, where it was set up in the early 1990s to demand a Kuki state in Myanmar till they were given sanctuary in Manipur by Manipuri Kuki politicians. At that time, they were looked upon as the saviours of the Kuki community which were then facing the onslaught of the Nagas, who were then embarking on an ethnic cleansing campaign under the directives of the NSCN(I-M). Another umbrella group of Kuki militants, called the United People’s Front which also currently has an SoO agreement in Manipur, have reiterated its stand against the demand for a Kuki state and have declared that they will not be backing the blockade call for the Kuki state. Earlier the state government had informed the Centre that it could not agree to the Nagas demand for an alternative arrangement as half of the so-called Naga areas are also inhabited by the Kukis. According to observers the entire sequence of events smacks of the involvement of RAW or the IB. First the Kukis were provoked into reacting against the extension of the SoO agreements by just three months while earlier it was for a year. Now, with their having given the call for a Kuki state the Centre can tell the Nagas that they are agreeable to the demand for an Alternative Arrangement for them provided the Kukis are pacified first.